My life experiences inform my practice as a counsellor and help me, I believe, to bring empathy, compassion and insight to my work. I have a Diploma in Counselling and a Post-Graduate Certificate in Cognitive Behavioural Therapy, as well as a first degree from Cambridge University. As part of my commitment to my ongoing training and development I am currently working on the dissertation for a Master’s in Psychotherapy at the Metanoia Institute. I have worked as a counsellor in a secondary school and in a variety of different counselling settings with adults. I have experience of working with all ages, from teens to 80s, and with many different issues. I bring to my work a thoughtful combination of my experience and training in different issues and the belief that each person is special and unique. I am stimulated by looking at different ways of working and different ideas. My main training and way of working as a counsellor is based on the person-centred approach. This means that I believe the counselling relationship is core in the healing process, and that my aim is really trying to understand your world with genuine acceptance. I believe that if we are able to create a good working relationship this will enable you to develop a better knowledge of yourself and what is right for you, and feel more fulfilled in your life. 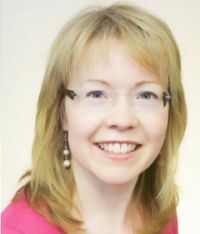 I am a Registered Member of the British Association for Counselling and Psychotherapy and abide by and work to their Code of Ethics (http://www.bacp.co.uk/ethical_framework/). I am a member of the British Association for the Person-Centred Approach and book review editor for Person-Centred Quarterly. I practise meditation and am interested in how mindfulness may be used to help people in counselling.